George F. Dole, Ph.D., is an ordained Swedenborgian minister holding academic degrees from Yale, Oxford, and Harvard. He enjoys an honored reputation for spiritual insight and scholarly creativity. In the past thirty years he has built a prolific body of theology, given in oral form. 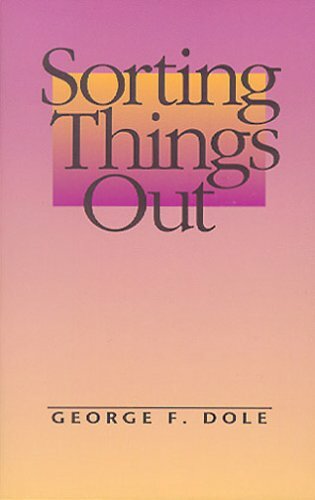 Sorting Things Out is a volume of thirty-one of these brief works, chosen for their sharp focus and enduring relevance. Whether exploring scientific advances in fields such as holography and chaology, or drawing out purpose from the confusion of the human drama, each short chapter will help thoughtful seekers to sort things out along life's path.